Why is Ghodbunder Road Becoming the Popular Destination? Thane is the next destination for the people hunting homes in or nearby Mumbai. Mumbai is the financial capital of India and has gained importance since the 17th century when the British established their main trade centre in the city. Simultaneously, another European trader- Portuguese captured Thane and surrounding which was their province till the early 18th century. Later, the Marathas captured the area, and development was carried out. The geographical position of Thane has also made it the prominent city. Since it is in the north side of Mumbai, several railways and roadways that connect other cities in the country to Mumbai, pass through Thane. Besides, the current international airport of Mumbai is 25 km away; and the proposed Navi Mumbai International Airport is 40 km away. Mumbai has limitations for both residential constructions as well as industries. 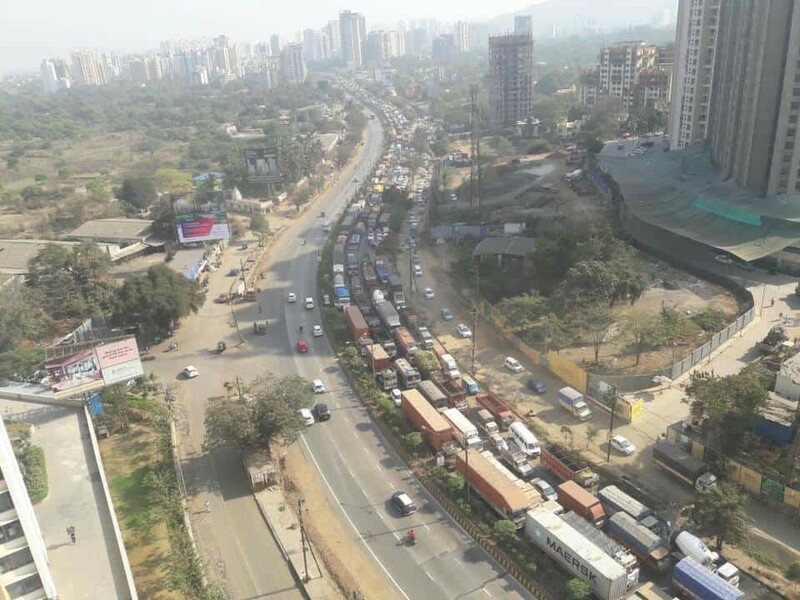 Due to lack of land and resources, several industries have already moved their plants from Mumbai to Thane, and in future, it can easily be predicted that rest of the industries will also be out of Mumbai. Only business headquarters will remain in the city. This, ultimately, makes the people convenient as Thane is a centre for both Mumbai and Kalyan-Karjat area. As a result, the city of Thane has become a perfect destination for new projects. However, the old town in Thane is a bit congested; thus, the area beyond Eastern Express Highway, especially Ghodbunder road is becoming a popular destination for the residential projects. The localities having vast space are considered for mostly 3 BHK flats in Thane Ghodbunder Road whereas 1 & 2 BHK flats in Thane Ghodbunder area can be found in the localities that have comparatively smaller area. Today, many old villages nearby city are incorporated in the town of Thane. Ghodbunder Road starts from Kapurbawdi circle and ends at the Ghodbunder fort Junction on the Western Expressway. In short, it connects the city of Thane directly to the western suburbs of Mumbai such as Dahisar and Borivali. This makes it convenient for those people that have jobs in the western suburbs. Manpada, Kapurbawdi, Waghbil, Kasarvadavali, Owale are a few areas that offer 2 BHK and 3 BHK flats in Thane Ghodbunder road. You can notice a number of developers introducing their 1 & 2 BHK flats in Thane Ghodbunder road. Besides, Ghodbunder has all those things that we need on a regular basis, right from the market yard, malls, supermarkets, schools, colleges, and much more. Due to all these reasons, Ghodbunder road has become a popular destination for the home buyers and developers. Previous PostWhat Are the Different Loans Available in Kuwait?